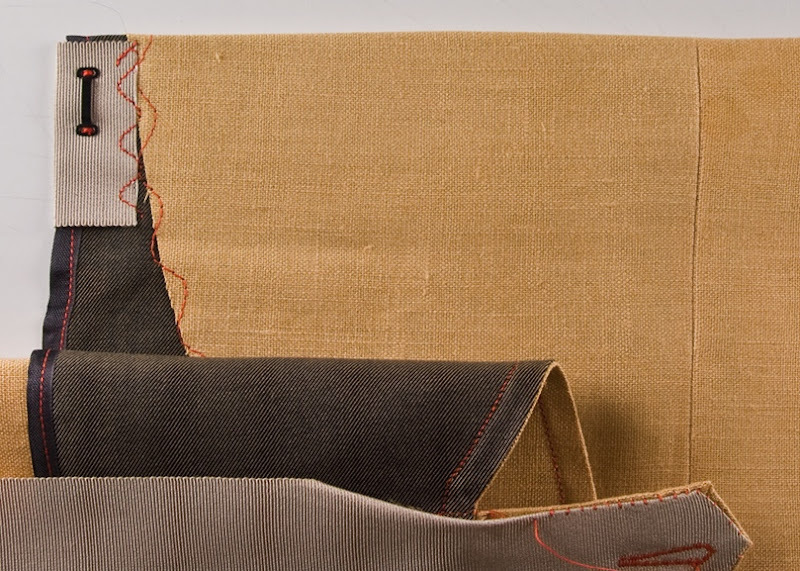 A place for current and future students of trouser making, esp. 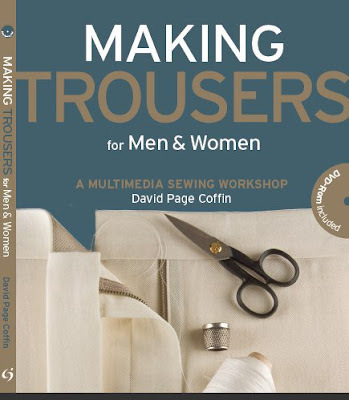 those following the techniques and ideas of David Page Coffin, and the many examples in his multimedia workshop in a book/DVD package, Making Trousers, to gather for previews, announcements and discussion. Welcome! 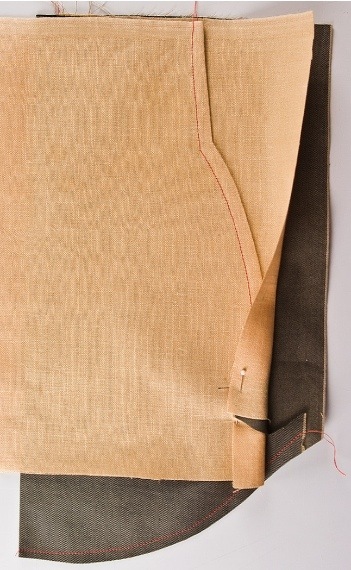 Here's how the useful folks at the Cutter and Tailor forums followed up on the topic I posted about here last: How tailors used to make (and shape) trousers. Highly recommended reading for those of you who want the good old stuff. Especially note the impressive results Jeffery Diduch gets with pant-leg shaping right here, right now. Thanks for posting the pix, and doing the work, Jeffery! There's also a new clip from the book's DVD posted on YouTube, thanks to Craftside, a blog devoted to the craft publications by my book's publisher, Creative Publishing International; lots of good stuff there… Check it out! There's a thread building up at one of my go-to-daily spots on the Net, www.cutterandtailor.com, that might interest pant makers that are interested in traditional and vintage tailoring techniques. It started a couple of days ago with some beautiful, clear scans of the trouser chapter from an early 20th-Century book on how to tailor, with lots of diagrams and plenty of arcane description (I'm not suggesting you should all go read it start to finish, just a scan will be interesting enough!) 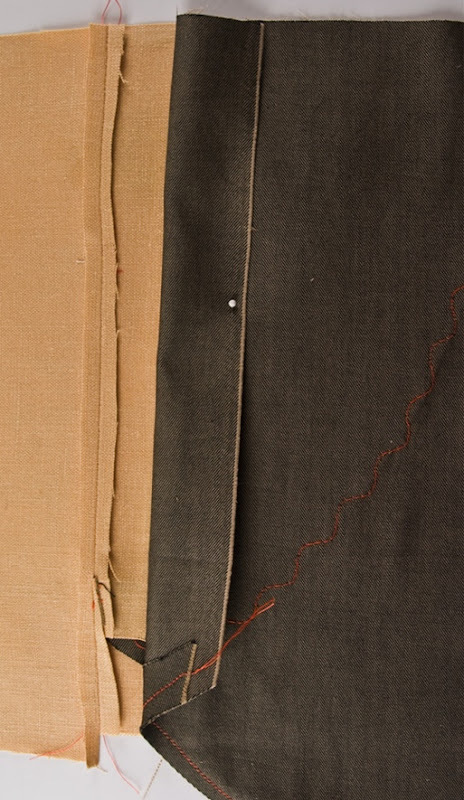 But then there's some responses so far that look like they might lead to more details on how current tailors make trousers, and on whether or not they bother with all the shaping and other intricate steps described in the text. Part of my 1st comment was, "I'd love to somehow observe a fresh, new pair made as described here on the figure it was made for and demonstrating all the subtle points of shaping deemed essential by this text, compared to a modern garment that doesn't include them," and it looks like some folks might be willing to do just that, or something close. So, I'm watching with interest. 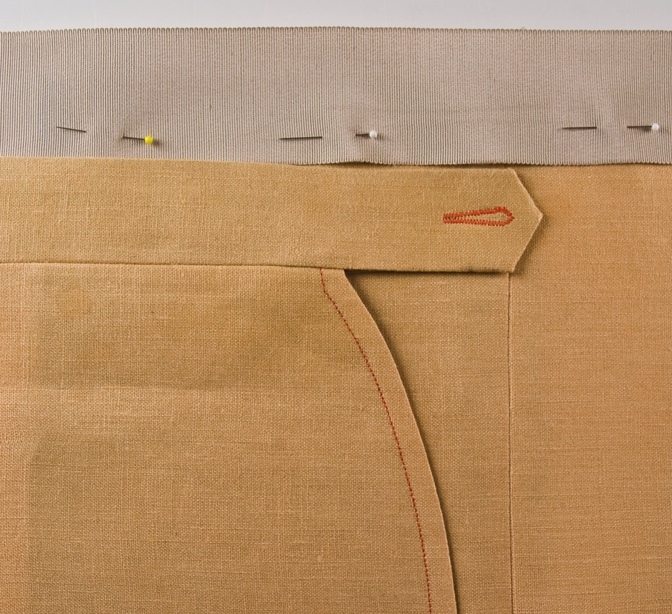 It's a fascinating forum all around, for those with a taste for pro talk about tailoring. By all means, check it out, if that sounds like you! Here's how to easily copy any existing pant or trouser so you'll have a pattern for making new pants that fit the same, and a starting point for designing your own already fitted pants, or for fine-tuning the fit of pants that almost fit. It's a followup to my earlier video on copying a shirt and ONLY COVERS WHAT'S DIFFERENT about copying pants, so you should definitely watch the shirt video, below, first if you haven't seen it already. Why Should I Buy Your New Pants Book? I have been reading the reviews about your new pants book and every one of them has been very positive. I already own your first pants book from 2004 and found it to be a wonderful resource. So what is new and different about this new book? Is it just a newer version of the 2004 book? Or, does it contain new material not found in the first book? I watched the video clip on your blog, but it didn’t really tell me what the difference is in the 2 books. Thanks for your help. Good question! The new book grew from the CD version, which I self-published in 2004 as a digital-only "virtual book," and the book is certainly based on the original material, so there's much anyone who has the CD will recognize, finally available on paper (which was the main thing people asked me about when the CD came out: "When will this be available as a "real" book?"). In addition, it's been extensively expanded and in a few instances revised. The main new elements are on the DVD, which is essentially an advanced workshop for folks who have worked through the book techniques and ideas. It's got two-plus hours of new video demos, documenting many variations and experiments on the basics that came up in the process of making 6 new pairs I created for the book, 3 men's, 3 women's, 150+ pages of mostly new RTW and custom garment detail photos and new process pictures, and four pages of internet links to new suppliers and info sources. 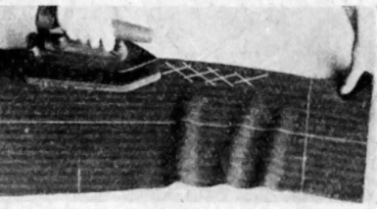 The main revisions in the text were to the existing-trousers tour section, which features 4 garments not on the CD, and to the zipper-fly section which is mostly new material, based on expanding and refining the techniques from the CD. 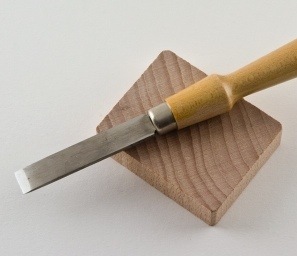 There's also some new material on pocket making and pattern preparation and a smattering of new tips, including several on using my favorite new tool, the surgical hemostat (a fabulous tool, every sewer needs one! ), in both the text and the videos. If you enjoyed the CD, I think you'll find the book and DVD quite interesting and a valuable addition to the original material. If you never heard of the CD, it's out of production, but lives on within the pages of the book. In the photo below, notice the angle formed at the top of the bands when the finished pocket is expanded. Inevitable as this is, it's hardly noticeable when you're wearing such a pocket, especially if you've angled the underneath band down from the pocket mouth forward, as discussed in yesterday's post. Neither is the distortion highlighted at the circle in the same photo; these distortions melt away amidst all the other distortions and wrinkles worn trousers are subject to, the more so if the pants are not too tight. 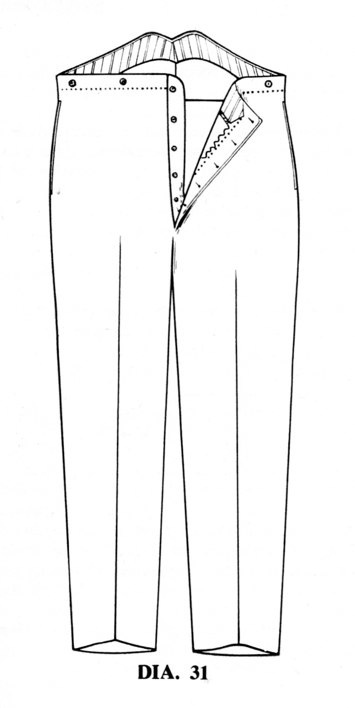 These distortions do clarify that the pant fronts are pivoting when a waist such as this is expanding—pivoting from the bottom of the pocket mouth—and this should make clear one significant requirement for any pocket of this type: The lower end of the mouth must be a good distance away from the waist to allow the pivoting to happen gracefully, or happen at all. So, amongst the many variations one could run upon this idea, including many possible shapes and treatments of the pocket mouth, you won't find anything like a horizontal opening, or one that doesn't put at least a good 6 inches [15cm] between the pivot point and the waist. 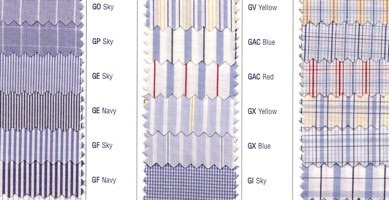 Note that the top row here shows a garment with no separate waistbands in front or in back, while the sample in the article, and all the lower-row examples, have a separate band in front, but simply an extended back, with what I call "cut-on" bands. This difference has no bearing at all on the actual closures you might prefer; any one of these shown could be implemented with either sort of band structure. Then consider the idea that these pockets could be the only way the pants close; make the slits a tad deeper on both sides and you could forgo a center-front or -back closure altogether. The main issue would be how wide do your trousers need to open to slip easily over your hips? 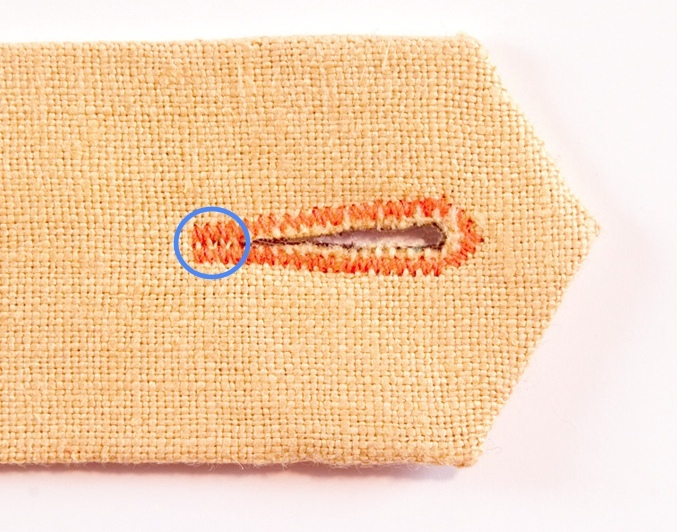 You could insert a zipper in place of the slit on one or both sides, and if you left a slit above a short zipper, you'd retain the expandability. 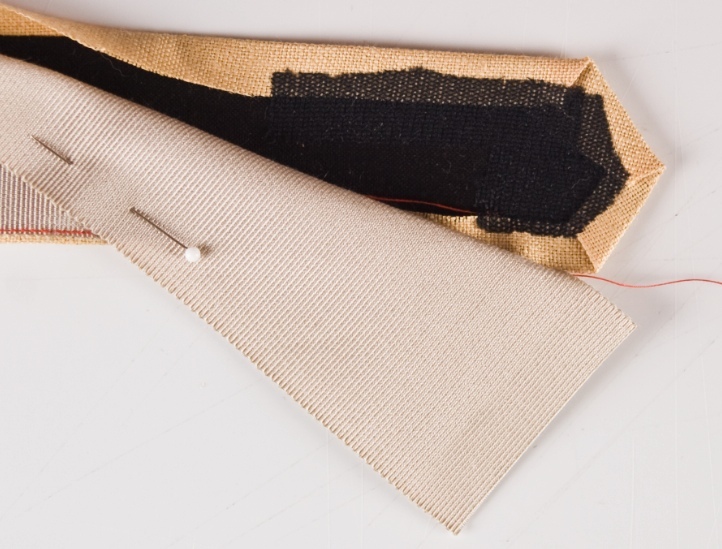 I hope you're getting the idea that not only are your pockets and your waistband potent areas for experimentation, innovation and redesign, but also that maybe the whole art of garment making can be about these things, too? For me, they're the best part. So, herewith I close this series on the Moveable Waist, leaving it open of course for any future questions or comments. Next up, sometime in the next few weeks or so, a video on copying existing trousers without taking them apart. Aligning finished edges that overlap is simplified if you choose to err in favor of the overlap completely covering the underlap, rather than trying get the edges perfectly flush. 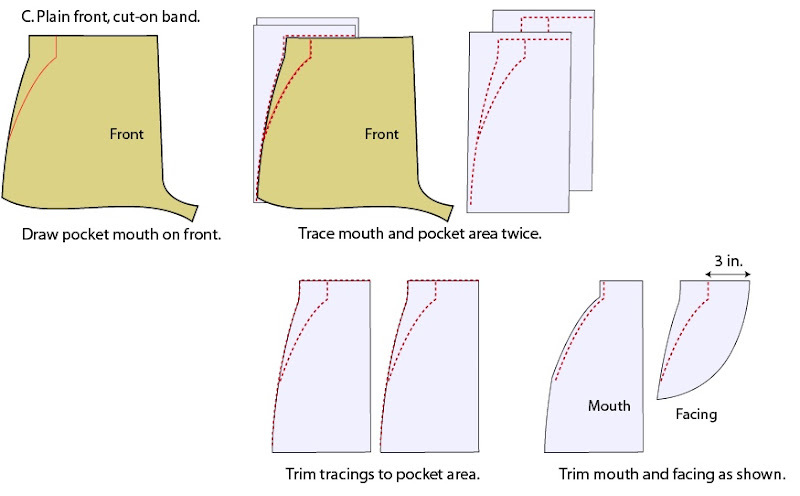 I follow this rule at center front, making sure the underlap side of the front closure dips slightly down behind the overlap, and do the same with these expanding-pocket waistbands, angling the inside-waist finish above the pocket slightly downwards from the mouth forward. This is easily done by simply angling the stitching line for the band finish (petersham in this case, but it could be anything) down a bit when sewing it on. That's why the petersham edge in this image dips out of sight below the left-most pin. Above the mouth and on back, I kept the petersham edge slightly above the front-band edge. When folded, the turn-of-the-cloth effect will bring the new edge level with or slightly below the tab edge; perfect. In front, the raw end of the petersham, cut long enough to wrap around the inner edge of the front slit, gets zigzagged down. I used a long serpentine stitch here, and along the packet-facing's raw edges, as much for decorative effect as anything, but this'll work very well on garments that aren't washed, and well enough on garments that are. I've tried all sorts of side-to-side stitches for these edge-tacking, edge-finishing roles and none of the choices or stitch-length/densities I've tried has ever failed in practice, so going with decorative's as good a way to select these as any. 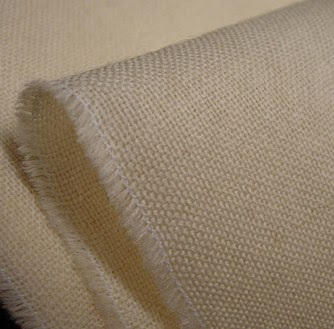 But if eventual slight fraying troubles you, choose a denser stitch or setting. In any case I see no reason to ever fold such an edge under before stitching it down. That eye hardware in front is the first step in a simple strategy for keeping the inside band from slipping or folding down in front, while you're wearing the pants or putting them on. 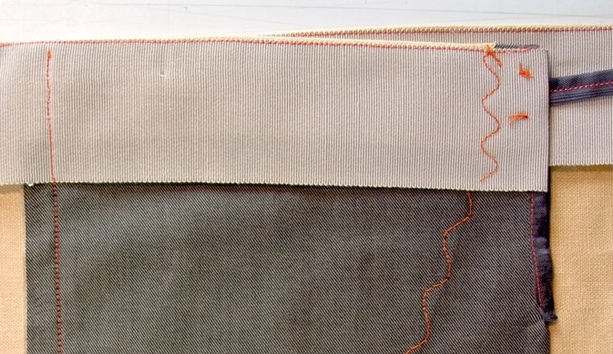 The rest of it is that folded strip of seam binding (could be a lining selvedge or any thin fabric; seam binding's just right if you've got it) secured on one end to the front petersham layer. This gets fed through the eye opposite and secured by hand to just the petersham in front when all else is finished. So, what keeps the lower edge of the petersham secure? The tab stitching certainly helps, as will any seams that catch the petersham at the center-front closure. Beyond those, you don't need much, if anything; I'm usually content with just a few tacks here and there, such as you'd get from stitching in the ditch of the side seam to hold the pocketing, from stitching those buttons on through all layers, from belt loops if they're used, and that sort of thing. You could stitch all along, or in, the ditch of the band/garment seam, at least in front here where there is such a seam, but I usually don't bother, especially since in this case that would make it a bit more bothersome to tack down that seam-binding strip in front; it's easy when the petersham's open there. 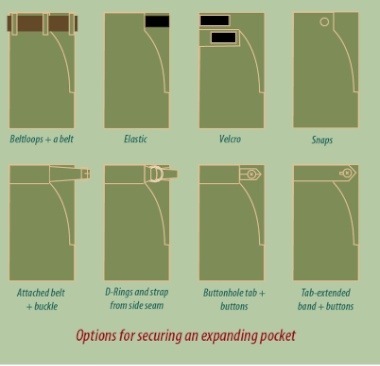 In general, my pant-sewing has evolved from super-ultra bullet-proof to quite minimal over the years, and and I'm happy about it, but choose your own level of tack-things-down security. They're your pants! 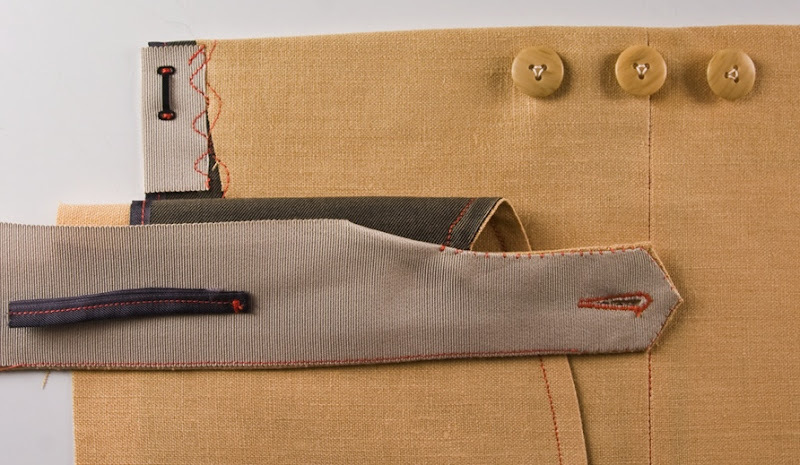 I can't think of a buttonhole on a pair of trousers that you wouldn't prefer to be a keyhole buttonhole, as opposed to a standard shirt-type buttonhole. 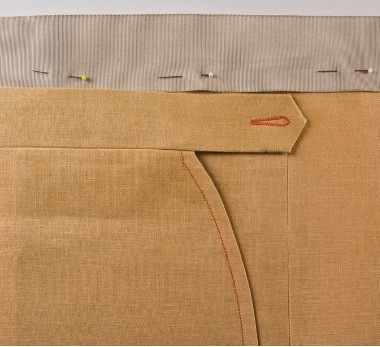 A keyhole buttonhole won't get distorted from the width of the wrapped thread shank you should be making behind any button on your trousers; the "key"-hole at the end accommodates the shank, or should if it's big enough Details in book, as usual. Many recent sewing machines offer keyhole settings, but I've never seen one I really like (if you like yours, please send me a picture of one; I'll post it). The problem with the ones my machine makes is that, like most machine-made ones I've seen, the hole at the end is too small to be useful. Also, my machine makes the hole with satin stitches that don't radiate around the opening; they remain parallel to the stitches along the sides, which makes the whole thing look amateur; nice try, but no thanks! It's a nit you may reasonably find not worth picking, but improving on these lame holes is pretty easy, if you wish. On the DVD that comes with the book, you'll find detailed directions and videos describing how to use an eyelet plate to create really nice keyholes, with stitches that wrap over and radiate around a precut hole. But for this sample, I decided to just go freehand, building a reasonable facsimile of a keyhole with 4 angled, slightly curved lines of narrow satin stitching. Keeping the two sides symmetrical and the whole thing accurate was managed with a few dots from a disappearing marker, one at each pivot point around the hole at the end. Note that I didn't cut all the way to the narrow end, and that I allowed for this by making the hole a bit longer than I needed, and kept the stitching close and parallel in the circles area for a short distance, forming a sort of double bartack there. The whole thing was about twice as fast to complete as it would have been to set up my machine for a pseudo-keyhole, and took about a fifth the time an eyelet keyhole would have taken. When attaching the band-with-tab to the pant front, I clipped the band fabric right at the point where I wanted the tab to begin, having stopped the hand felling a little ways short of this. 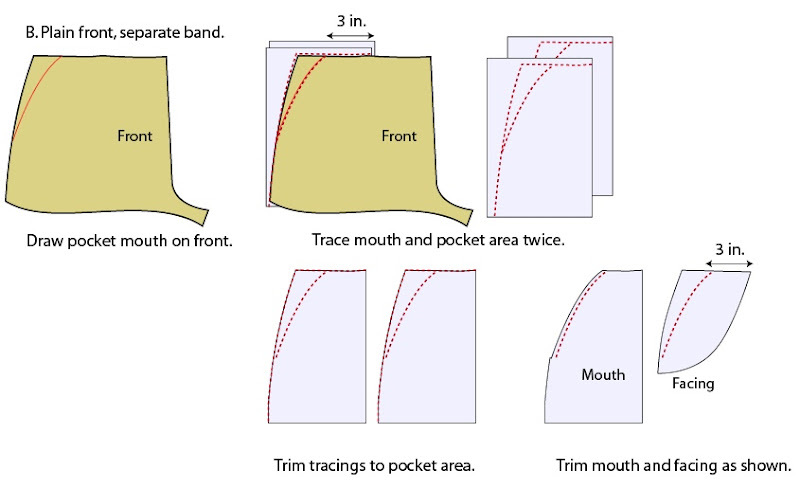 After joining the band to the front, I pressed open the trimmed garment/band allowances, blending the garment allowance smoothly open about a half-inch [1.2cm] from the pocket mouth. Note that the petersham there also blends smoothly, from folded to match the tab, to not-folded above the pocket. 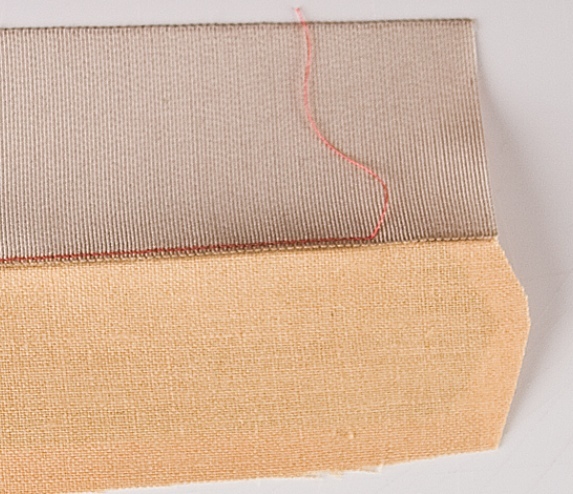 This blending is shaped to conceal the blending of the pressed-open seam allowances underneath. I'll finish up finishing up tomorrow. 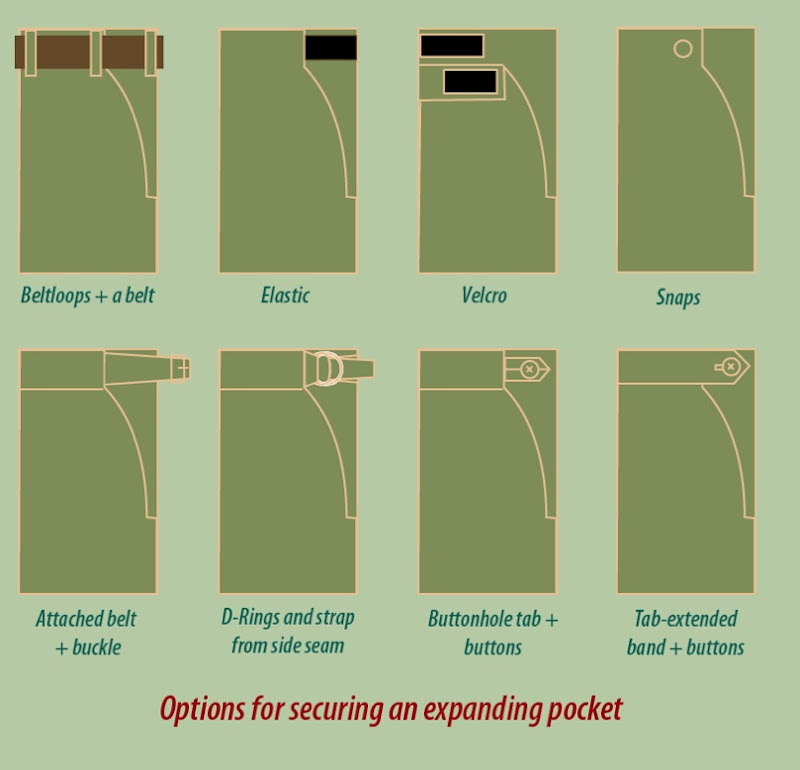 Hiding in plain sight inside this article on expanding pockets and overlapping waistbands, is another powerful idea that goes way beyond pockets or waists: Maybe machine-stitching and turning isn't always the best way to form things. 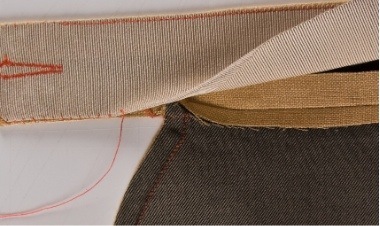 I quite like the technique shown here for creating the waistband tab, for example. There are two parts to this tab story, with a little gem of a tip inside. 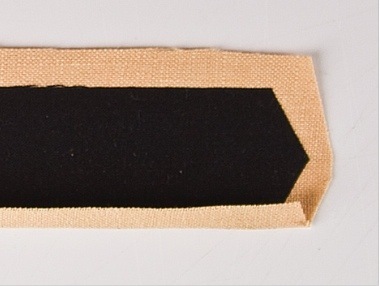 Part one is that folding and pressing a shaped thing like a tab (or a collar or a flap or a lapel…?) into its final appearance is bound to be a more precise, controllable, correctable and direct way to form it—resulting in sharper corners and crisper edges—than stitching and turning it would be. Part two is that hand-stitching whatever facing or lining you want your shaped thing to have is both not that time-consuming (given that you can confine the hand-stitching to just the critical parts, where the main shaping needs to be, machine stitching the simpler parts), but also an easier way (compared to turning) to keep the facing or lining smaller than, and thus out of sight behind, the face of your tab or similar thing. 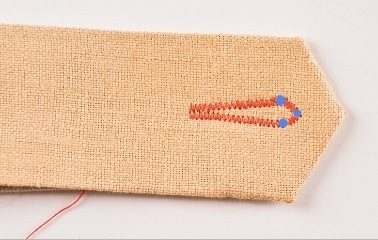 Plus, it's good to develop some minimal skill at hand stitching; you shouldn't be scared of it! The first step in this case is to fold just the top edge of this waistband-with-tab, creasing it along the edge of the fusible within. This forms the final top edge of the band and provides a guide for machine stitching the petersham facing I'm using here. Note that I stopped the machine stitching just shy of the first corner of the shaped tab; from here on out, I'll be folding and hand stitching. First, I fold and press the fashion fabric, again relying on the fused form inside to guide me. And here's that gem of a tip: To hold these folds while I form the petersham to match, I used very tiny scraps cut from a sheer fusible interfacing, lightly but permanently pressed over the raw edges; details about, and sources for, my preferred interfacings in book, of course. Next, I fold and press the petersham so it follows, and stays well within, the shape of the tab. No securing strips of interfacing needed here, since I'll be stitching this down right away, but if I wanted to add these, the fusible's so sheer I wouldn't hesitate. 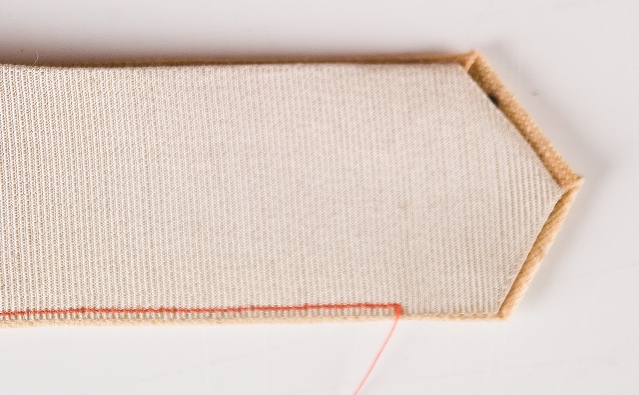 Finally, I stitch the two folded edges together using one end of the machine-stitching thread (the other end is clipped and tucked inside the layers). 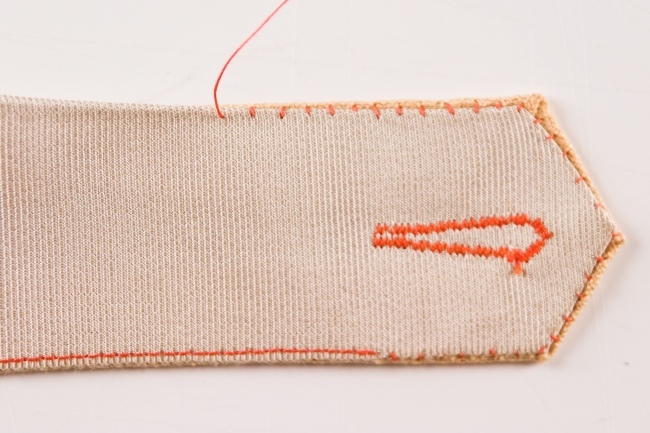 I use a fell, or felling, stitch, described in the book and demonstrated on its DVD, but also described by Kenneth King in one of his excellent recent Threads articles—he's really on a roll, no? Kudos to him, and to the Threads staff for knowing a good thing when it's in their lap! Hand felling's very fast, secure, and helps keep the thing being felled inside the thing being felled to. Up next: That buttonhole, and finishing the project. 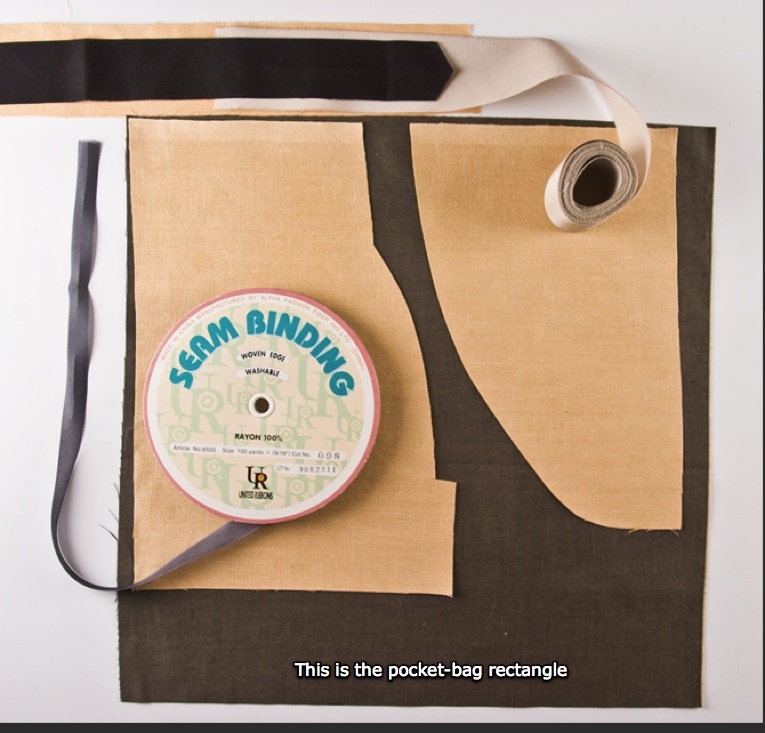 When the facing's stitched down and the slit's made and bound, it's time to "bag" the pocket, i.e., close the bottom. I like to fold back the pocket layers so they're out-sides together using the crease as a folding guide, stitch my bagging curve, trim close to the stitching, then turn the pocketing out-sides out again, as originally folded and stitch the curve again. This gives you a double-stitched bag and finishes the edges nicely; you could always serge the bag closed instead if that's your style; I prefer non-serged solutions, no doubt because I don't have a serger! There are many ways to shape the bottom of the pocket as you stitch it, from making it a half circle, to keeping it rectangular. I usually curve it as shown below, or in a more elaborate curve as described in the book, and I typically use a template to mark the curve so it comes out the same on both pockets. Note that in the sample here, I didn't take the time to double-stitch the bag. I don't want to catch the pocketing in the side seam because I want to use the pocketing to cover the pressed-open side seam, as you can see in the previous picture. The vertical stitching securing this selvedge edge from top to bottom comes from stitching in the ditch of the side seam as a last step after the rest of the pocket is complete. 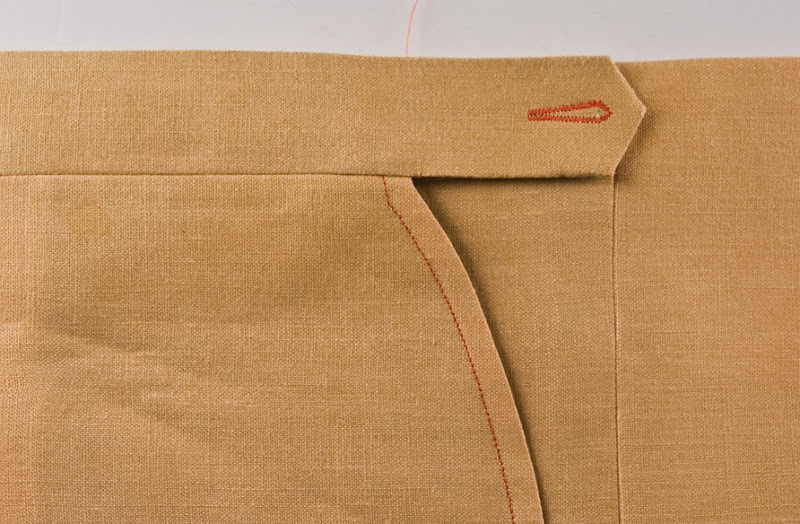 The little clip in the outer pocketing layer (away from the body) below the facing allows you to keep that layer out of the side-seam stitching, too. It doesn't need to be finished in any way since it'll never be seen or exposed again once the pocket is finished. One big lightbulb that went off for me in my quest to become a more creative and flexible sewer was realizing that I didn't need to always have a pattern for everything, or to have every edge drafted, measured and cut precisely before starting to sew. As I watched pro sewers and tailors work (thanks to my great old job at Threads! ), I noticed these folk doing a lot of eye-balling, rough cutting, and shaping stuff as they went along. It was all very logical and liberating; and it's a major theme in my book. 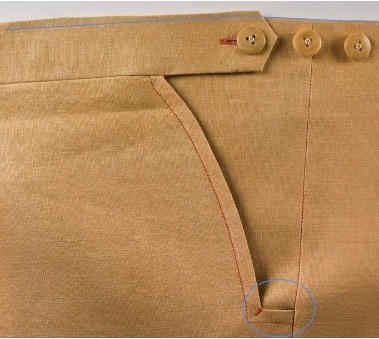 Written sewing directions, especially those for 'home' sewers, are very likely to obscure this aspect of a pro's process in favor of presenting easy, step-by-step directions that will feel comforting to somebody used to working from commercial patterns, in which every tiny scrap and detail has a pattern piece, usually with hearty 5/8-in. 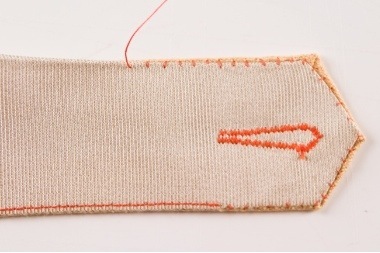 [1.6cm] seam allowances, no matter how small the piece itself is. 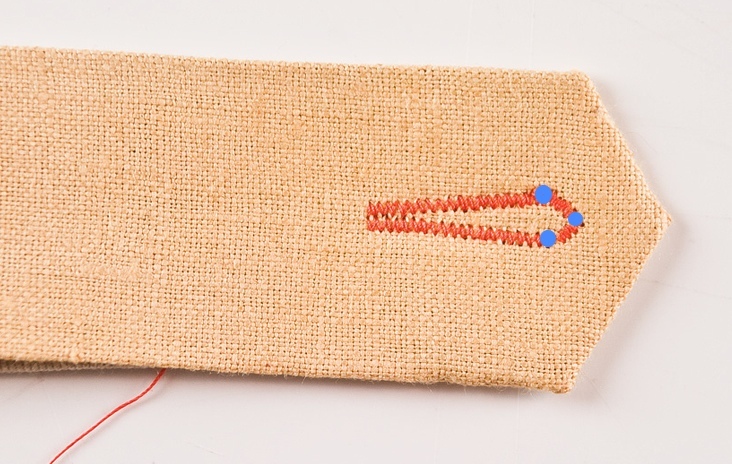 My Threads article is a good example of this, with its directions for drawing "The Pocket Bag Pattern." I don't HAVE a pocket bag pattern, and you don't need one. For my own front pockets, I use two 15-in. [38cm] squares of some sturdy cotton I know I'll like feeling every time I use my pockets. That may be too big for a women's pant, and too small for some folks, so use whatever will give you a pocket you like—and it doesn't have to be a square. I arrived at 15 inches of width because I like a front pocket about 7 or so inches wide [18cm] and I need about an extra inch [2.5cm] for covering the side seam, about which more later. Because I like to extend my front pockets all the way to the top edge of the waistband or waistband area (also detailed in the book), 15 inches of length works out nicely; adjust this for your own pockets. Whenever possible, I also like to cut my front-pocket rectangles so that one edge of each piece is a selvedge. I arrange the rectangle so the selvedge edge winds up at the side seam when the pocket's finished, as you'll see. I don't pre-shape the pocketing to the pocket opening, either. 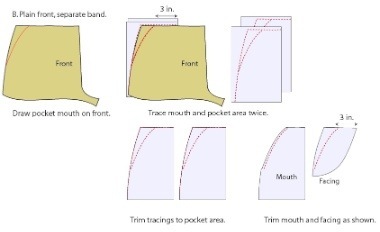 I stitch the front to the rectangle along the edge opposite from the selvedge edge, matching the front side-seam cut edge to the bag edge, then trim the pocketing to follow the mouth stitching, matching the 1/4-inch [0.6cm] seam allowance I used for the mouth. 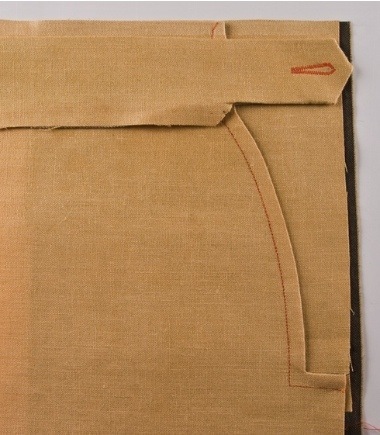 You may also have noticed that despite the directions on p.43 for starting with cutting and binding the slit at the front-edge fold of the pocket bag, in the photo for Step 2, there's no slit yet. 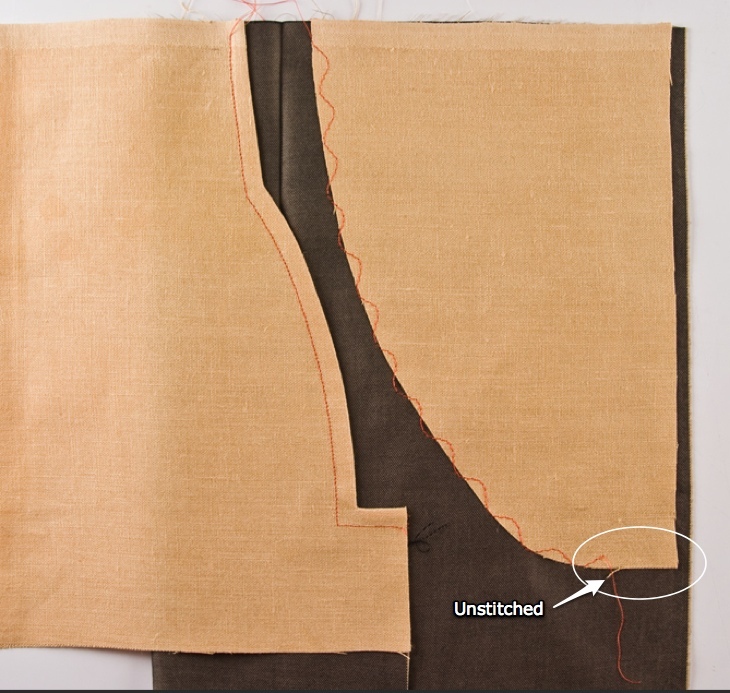 That's because I only cut the slit after I know exactly where the fold is going to be, and I don't know that until AFTER I stitch the bag to the front and (maybe) to the pocket facing, or pocket BACK, as they call it in the article. Before I add the facing, I fold the pocket rectangle vertically back over the mouth so the selvedge edge extends about 1/2 inch [1.2cm] beyond the front side-seam allowance. This establishes where the fold will be, at which point you can cut and bind the slash, or add the facing, then cut and bind; the order doesn't matter. FINALLY, I got my author-copies of Threads Issue 144, August/Sept 2009! I've been itching to post some additional, supporting material for the article I wrote that appears in this issue, but I really wanted to have the article in hand before I did… Well, it's here now, so let's go! The article's called A Moveable Waist, and it's an idea for rethinking the front pockets on a pant (or skirt) in order to get an adjustable waist without changing the look of the garment much at all. I thought everyone at Threads did a great job with my article, and I'm really pleased with how it came out. Thanks, guys! What I'm going to do is post here any and all additional material I wish could have appeared in the story, along with bigger versions of some of the pictures, taking advantage of the unlimited space the Internet provides to let me do it. I'm not going to duplicate the entire article, just expand on it, so if you have no idea what this is about, pick up the mag, or wait for my Trouser book to come out (any day now, so I hear…) which covers the same ground with a different solution. The idea for this trick came from a pair of RTW pants I bought a long time ago from Orvis; I've since seen it on other pants like these Men's Plain Front Comfort Waist Year'rounder Dress Pants from Lands' End. All the RTW examples I've seen work great, but they're very complex, so this article is about how to duplicate the basic idea (you create the adjustment with a doubled waistband at the side pockets) in a simpler way, with lots of variations to suit a variety of waistband options and closure methods. If your pants have some other kind of pocket, you need to reshape the front piece at the pocket area to make it a slant-pocket type. 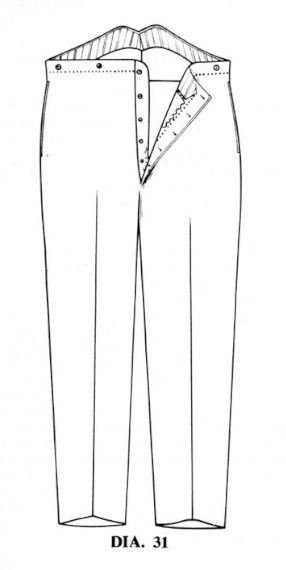 The drawing below shows how to do that if your pattern has a separate waistband, as most do. One thing you'll discover in my book is that I'm a big fan of waistbands that AREN'T separate pieces, but are CUT ON to the pants front and back, or sometimes just the front or the back, all of which is covered in detail in the book. 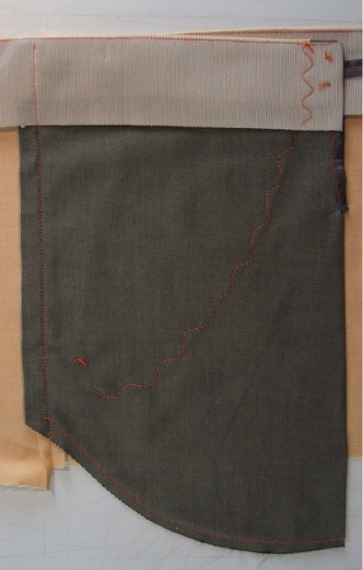 Here, I'll just sketch out how it works; the next drawing shows the pocket adjustments on a cut-on waistband pant. A cut-on-waist pants (or skirt) is nothing more than a garment front and/or back with an additional bit of length above the waist of the same width as a separate waistband would be. It's not a shaped or contoured band, just a straight rectangle pieced onto the existing pattern before cutting out, so there's no waist/band seam. Here's how you'd adjust the patterns; as you can see, I like to consider all the options. On all these steps it's important of course to be very sure about your seam allowances and stitching lines as you make these changes. 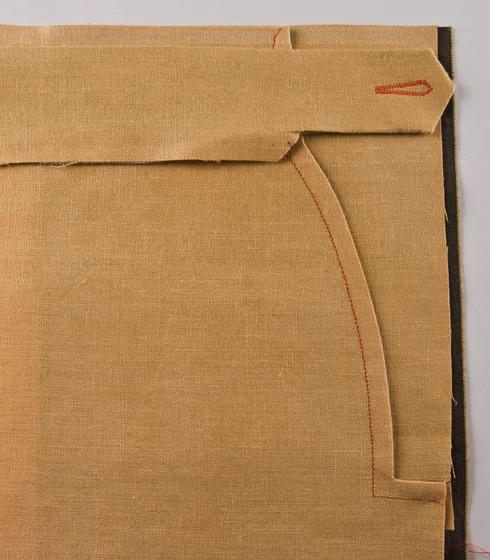 The drawings here all show no seam allowances, except along the pocket mouths in the middle two diagrams, which are shown with a 1/4-in. or 0.6cm allowance, which is my preferred allowance for most trouser seams; much more on this in the book, of course. Please feel free to ask questions or make comments. If you're having trouble making a comment, just go to my Profile and send me an email; I'll post it back here with my reply. This morning's email brought in some exceptional links; must share. Both of these outfits have a wide range of offerings, but it's their interfacings and interlinings that are especially note-worthy. MacCulloch & Wallis include listings for 4 (!) 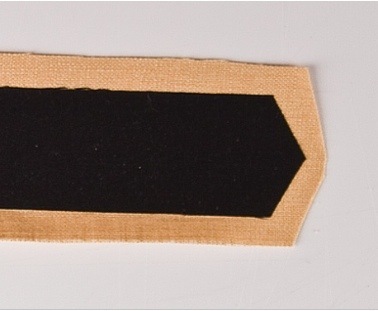 different types of neck-tie canvas, including a rare 100% wool expressly for neck ties, as well as a presumably softer all-wool interlining that's equally hard to find, at least in the States, and if it's anything like what used to be widely available here under that description, also works very well inside soft ties. Obviously, this will be of most interest to neck-tie makers and owners of my little booklet on making ties, but this is just the tip of the iceberg that is MacCulloch & Wallis. They provide a spectacular range of millinery petershams, up to 72mm (nearly 3 in.! ), which you'll learn in my trouser book is my #1 go-to waist lining/stiffener (I like the hard-to-find 50mm/2-in. stuff), a large variety of what looks like superb shirtings (for those ultra-deluxe trouser pocketings and linings), and an equally impressive stable of woolens and wool-silk blends. English Couture, the creation of England's national fine-sewing treasure Terry Fox and now run by Michelle Pye, also offers a necktie canvas which appears similar to the Polyester/Viscose stuff available in the US, but again this is just a taste of their range. Terry is a master of both traditional (everything's stitched) and contemporary (everything's fused) tailoring and couture techniques, and she assembled an unmatched assortment of made-for-industry but tested-on-home-irons fusibles, including varieties that perfectly match the four purposes I detail in my book. Many of these interfacings are available in the US through Terry's pal Louise Cutting, at www.fabriccollections.com. Absolutely the best part of my super-cool job at Threads was finding, and then visiting, garment-makers who had both mastered their craft, and also felt compelled, and had the skills, to share their passion, often driven by a fervent wish to not let their skills disappear from our increasingly pre-fab culture. Jeffery Diduch is the very model of this rare type (by all means search the Threads index for the articles we did together; in issues 87 and 89), a committed and accomplished sewer and tailor from childhood on who now works at the highest levels of the menswear garment industry, yet still delights in making his own clothes, dissecting exceptional garments to see what he can learn, and evangelizing the tailor's skills, before they vanish forever, to whoever will listen. If this strikes a chord, you'll be as appreciative as I am (and maybe as astonished as I felt that I'd missed this unparalleled treasure trove up til now). 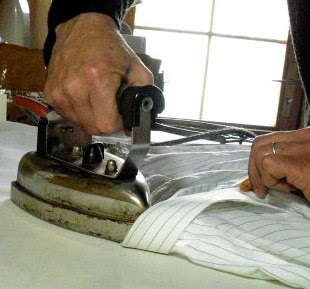 Just one example of the riches I found there: How to iron a shirt by hand, from a master bespoke shirt-maker, in many pix (plus a video! ), all translated from the Russian by… JDiduch. Before I launched this amazon link, I posted info about the new cover and DVD table of contents; a note about why there's no fitting in my book, and most recently, a DVD preview video clip, covering what's on the disk, how to use it, and how to tweak Adobe Reader to get the most out of the DVD. 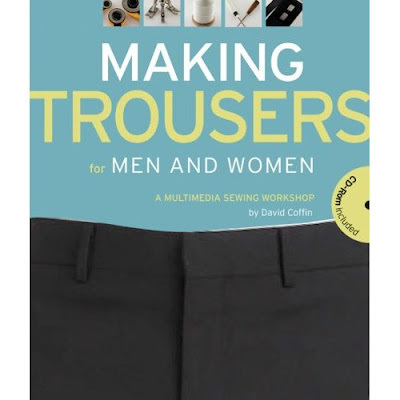 Introducing Making Trousers: The DVD from David Coffin on Vimeo. …which is the permanent home for info on using the DVD. This site you're on now will remain the active blog for all other posts relating to the book, and to trouser-making. I'm able to post this preview because the DVD master has been finalized and shipped, meaning that the package is DONE! Yay…!!! I'll do my best to keep this space interesting and active while we wait; please feel free to chime in! Um, where's the fitting info? My book covers only construction details, including many pocket, waistband, closure and other interior details and variations, and there's no fitting info in it at all. It starts with the assumption that you've got a well-fitting basic pant pattern already. I know that many sewers still struggle with pant fitting, but I decided to leave fitting out of my work since it is so extensively covered in virtually all the other pants books out there, none of which go into construction to the extent I think necessary, and none of which offer a detailed look at the wide range of RTW and custom pant-making details, as I consider essential to well-informed results. If I'd included fitting, I'd never have had room for all the variations I wanted to include, and I'd have been merely repeating what other more expert fitting and pattern-drafting authorities have already well said! If you've got any pants that already fit you well enough, stay tuned for my video on easily copying them. No doubt many of you have already looked elsewhere for help with your pants-fitting questions, but I've heard only good things about the two fitting books I recommend and give links to in the widget at right: Don McCunn's pattern drafting book (and his online classes and Yahoo group about pattern making), and Pati Palmer's book on pants. My own solution was simply to pay a local expert to help me come up with a fitting pants sloper, one-to-one and once-and-for-all, since I didn't want to be bogged down in fitting hassles; I just wanted to get busy with the fun part: making them! And as for writing about pants, what I wanted to do was cover all the stuff that I haven't seen elsewhere, not just rehash the basics. 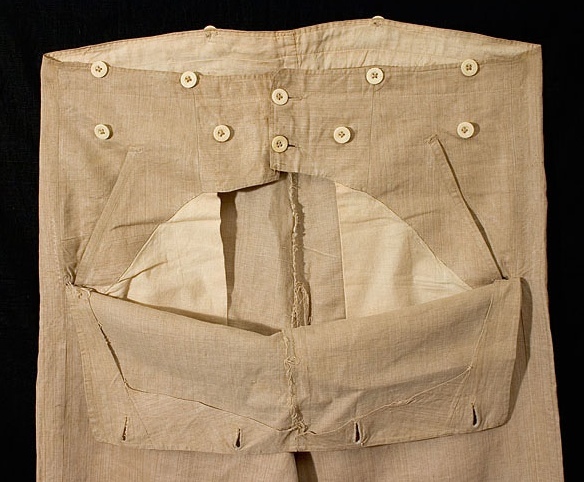 If fitting remains the main thing you struggle with about making pants, sorry to disappoint! I hope you'll take a look at my book and DVD anyway! And by all means feel free to post fitting questions or comments here, if you like. I may have an opinion or link that could help. Here's the current state of the cover for Making Trousers; I'll post the whole thing, back, front and flaps, asap. The videos, of course, are the most obviously interesting part, and as you can see, there are a LOT of them; nearly 2 hours worth. They were intended to be simple demos of the book techniques, but turned out more like documentaries of the projects I settled on as sample garments for the book techniques. And since I couldn't resist trying out variations and new ideas as I made these, the videos turned into more of a sequel than a retelling. The still-picture galleries were a big help to have available as the book pages developed. Basically, every time a page layout issue made me wish a picture could be shown bigger, or that more pictures could be included without running over the page limits, I would simply remember that I could put whatever images I wanted, as big as possible, on the DVD. So, I was able to include a quite huge collection, over 180 large images, including details of many RTW and custom-made garments that aren't mentioned at all in the book. These garment-interior images, which basically come from me rummaging around in my own and other people's closets and collections, and taking snaps, reveal the vast range of finishing techniques and details designers of generally very expensive garments (plus some interesting every-day stuff, too—my contribution) choose to include in their wares; very instructive, I think, for folks choosing to make their own. I'm planning to post some of these here, with commentary, and will encourage readers to post their own detail images, with questions and comments, of course. Overall, my hope for this blog is that it can become a forum of sorts, after the book is out, where readers and I can share current projects and techniques, tips and sources, inspirations, links, and whatever else seems fun and useful to folks who like to make great clothes. Before the book arrives, I'll post preview snippets, teasers and supplemental tidbits, and welcome any and all comments and questions. Thanks to everyone who bothers to read this; I hope you'll join me! Above is the placeholder image you'll find at amazon for the package; the real thing'll be MUCH nicer looking, I promise!